Advances in technology have brought about changes in the instrumentation found in all types of aircraft; for example, Electronic Flight Displays (EFDs) commonly referred to as “glass cockpits.” EFDs include flight displays such as primary flight displays (PFD) and multi-function displays (MFD). This has changed not only what information is available to a pilot, but also how the information is displayed. In addition to the improvement in system reliability, which increases overall safety, EFDs have decreased the overall cost of equipping aircraft with state-of-the-art instrumentation. Primary electronic instrumentation packages are less prone to failure than their analogue counterparts. No longer is it necessary for aircraft designers to create cluttered panel layouts in order to accommodate all necessary flight instruments. Instead, multi-panel digital flight displays combine all flight instruments onto a single screen that is called a primary flight display (PFD). The traditional “six pack” of instruments is now displayed on one liquid crystal display (LCD) screen. Configured similarly to traditional panel layouts, the ASI is located on the left side of the screen and is displayed as a vertical speed tape. As the aircraft increases in speed, the larger numbers descend from the top of the tape. The TAS is displayed at the bottom of the tape through the input to the air data computer (ADC) from the outside air temperature probe. Airspeed markings for VX, VY, and rotation speed (VR) are displayed for pilot reference. An additional pilot-controlled airspeed bug is available to set at any desired reference speed. As on traditional analogue ASIs, the electronic airspeed tape displays the color-coded ranges for the flap operating range, normal range, and caution range. [Figure 8-12] The number value changes color to red when the airspeed exceeds VNE to warn the pilot of exceeding the maximum speed limitation. One improvement over analogue instrumentation is the larger attitude indicator on EFD. The artificial horizon spans the entire width of the PFD. [Figure 8-12] This expanded instrumentation offers better reference through all phases of flight and all flight maneuvers. The attitude indicator receives its information from the Attitude Heading and Reference System (AHRS). The altimeter is located on the right side of the PFD. [Figure 8-12] As the altitude increases, the larger numbers descend from the top of the display tape, with the current altitude being displayed in the black box in the center of the display tape. The altitude is displayed in increments of 20 feet. 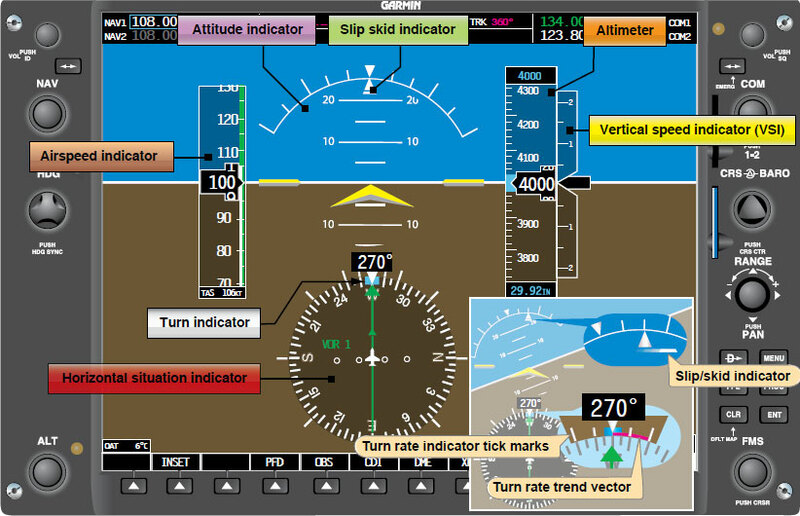 The VSI is displayed to the right of the altimeter tape and can take the form of an arced indicator or a vertical speed tape. [Figure 8-12] Both are equipped with a vertical speed bug. The heading indicator is located below the artificial horizon and is normally modeled after a Horizontal Situation Indicator (HSI). [Figure 8-12] As in the case of the attitude indicator, the heading indicator receives its information from the magnetometer, which feeds information to the AHRS unit and then out to the PFD. The turn indicator takes a slightly different form than the traditional instrumentation. A sliding bar moves left and right below the triangle to indicate deflection from coordinated flight. [Figure 8-12] Reference for coordinated flight comes from accelerometers contained in the AHRS unit. The slip/skid indicator is the horizontal line below the roll pointer. [Figure 8-12] Like a ball in a turn-and-slip indicator, a bar width off center is equal to one ball width displacement. The turn rate indicator, illustrated in Figure 8-12, is typically found directly above the rotating compass card. Tick marks to the left and right of the lubber line denote the turn (standard-rate versus half standard-rate). Typically denoted by a trend line, if the trend vector is extended to the second tick mark the aircraft is in a standard-rate turn. Individual panel displays can be configured for a variety of aircraft by installing different software packages. [Figure 8-14] Manufacturers are also able to upgrade existing instrument displays in a similar manner, eliminating the need to replace individual gauges in order to upgrade. Figure 8-14. 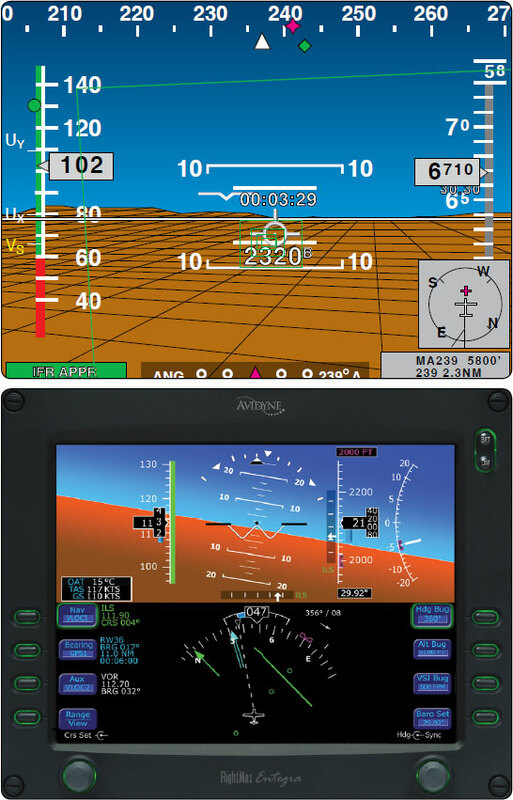 Chelton’s FlightLogic (top) and Avidyne’s Entegra (bottom) are examples of panel displays that are configurable. Figure 8-15. Teledyne’s 90004 TAS/Plus Air Data Computer (ADC) computes air data information from the pitot-static pneumatic system, aircraft temperature probe, and barometric correction device to help create a clear picture of flight characteristics. 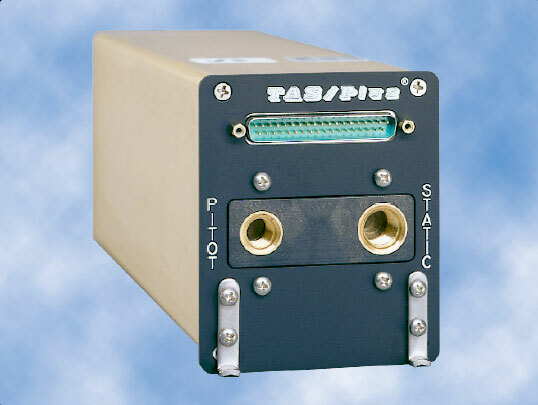 The ADC is a separate solid state device that, in addition to providing data to the PFD, is capable of providing data to the autopilot control system. In the event of system malfunction, the ADC can quickly be removed and replaced in order to decrease downtime and decrease maintenance turn-around times. Altitude information is derived from the static pressure port just as an analogue system does; however, the static pressure does not enter a diaphragm. The ADC computes the received barometric pressure and sends a digital signal to the PFD to display the proper altitude readout. 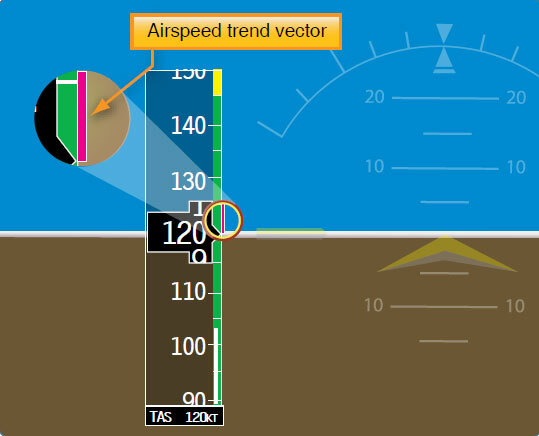 EFDs also show trend vectors, which show the pilot how the altitude and airspeed are progressing. Figure 8-16. Airspeed trend vector. Trend vectors are magenta lines that move up and down both the ASI and the altimeter. [Figures 8-16 and 8-17] The ADC computes the rate of change and displays the 6-second projection of where the aircraft will be. 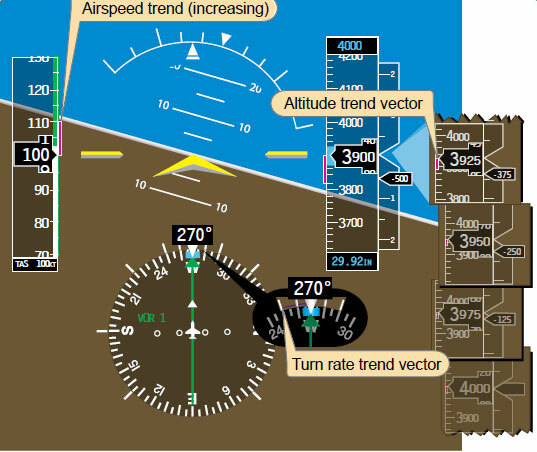 Pilots can utilize the trend vectors to better control the aircraft’s attitude. By including the trend vectors in the instrument scan, pilots are able to precisely control airspeed and altitude. Additional information can be obtained by referencing the Instrument Flying Handbook or specific avionics manufacturer’s training material. Figure 8-17. Altimeter trend vector.